Three major students' bodies of Manipur have strongly condemned President Ram Nath Kovind's remark that the Citizenship (Amendment) Bill 2016 would help victims who suffered persecution to seek refuge in India. The President's remarks has caused widespread condemnation, particularly among the students' bodies, who have been camping in New Delhi to protest against the passing of the controversial Bill by the Rajya Sabha. 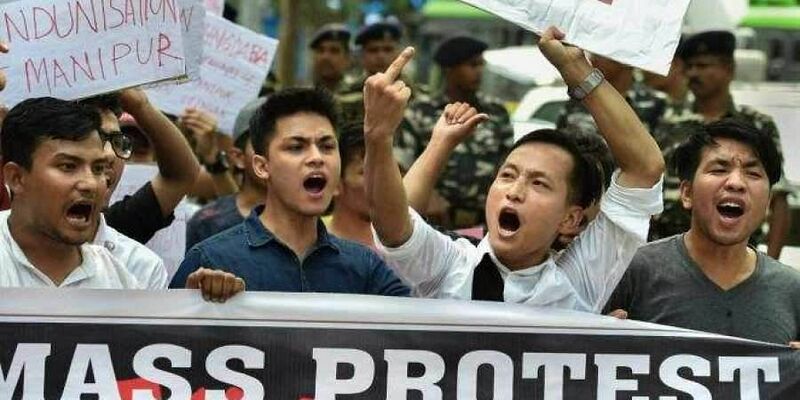 All Manipur Students Union (AMSU), Manipur Students Federation (MSF) and Democratic Students Alliance of Manipur (DESAM) on Friday maintained they will intensify their agitation if the Bill is passed. The controversial Bill, passed in the Lok Sabha on January 8, seeks to provide Indian citizenship to non-Muslims from Bangladesh, Pakistan and Afghanistan after six years of residence in India instead of 12 years, which is the norm currently, even if they do not possess any document. Manjit Sarangthem, president of AMSU, said the students' bodies have submitted a memorandum to the prime minister and added that the President's remarks was an indication of his support to the Bill which is against the wishes of the people of the North East region. Chief Minister N Biren Singh has also submitted a memorandum to Union Home Minister Rajnath Singh on the issue recently. Singh has been seeking insertion of a clause to protect the indigenous population of the region in general and Manipur in particular. Deputy Chief Minister Y Joykumar Singh said that his party — National People's Party (NPP) — will withdraw its support to the BJP-led government if the Bill is passed in the Rajya Sabha. Joykumar's response came after a large number of women gathered at his Naoremthong residence in Imphal West district protesting against the Bill. He further said that NPP president Conrad Sangma was seeking appointment with the President and Prime Minister to oppose passing of the Bill. The NPP, which won 4 seats in the last election, had extended support to the BJP-led coalition government in the state.